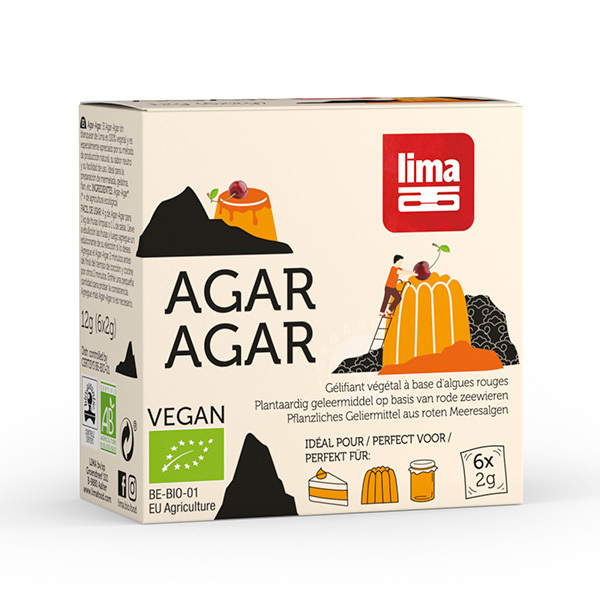 Agar-agar is used as a natural thickener in sauces, soups and dressings. 6 sachets x 2g. Receipe for jellies and jams: Mix 4g agar-agar powder with 1kg fruit or 1L fruit juice. Bring fruit and agar-agar to a boil, and add the sweetener of your taste. Then, boil down to the desired consistency.